Are you planning on building your dream home, retirement property, Lakeside retreat, Ski Chalet or Cabin? Let Our In-House Design Team Bring Your Dream to Reality! Custom Contemporary Lower Mainland Design – This 5000 square foot, open concept luxury home featuring vaulted ceilings, large great room, custom mill work and kitchen, this home is perfect for the growing family. The home showcases exposed Douglas Fir timbers that are in contrast with the modern contemporary feel of the home. This great family home has a balance of elegant dining and entertaining areas, and comfortable family spaces. The Glen Eagles Golf Resort is a real treat and worth while see. The heavy timbers accent both the inside and outside of this now gorgeous facility. The work and time it took to plan and re-construct this facility paid off shortly due to the modern day West coast look to it. This was a very nice project to have been a part of and we are very confident that the owners and members of the club are very proud as well. Custom Design Services – Tamlin has a full range of design services. We know that it takes time to develop a home plan that reflects your personal tastes, and meets your building objectives. Whether you are trying to capture the right view, create an open concept plan, bring the outdoors inside, or be focused on practical and functional aspects, its worth the extra effort to design a home that you will use now and in the future. You can count on our experienced in-house design team and professional services to provide the right level of design support. Our senior designers are gifted in ‘seeing’ your vision while incorporating smart and functional ideas into your home. It’s safe to say that since 1977, we have designed almost all styles of homes, and are fortunate to have the experience to be able to suggest ideas that may be overlooked by someone who has not designed and built so many homes. 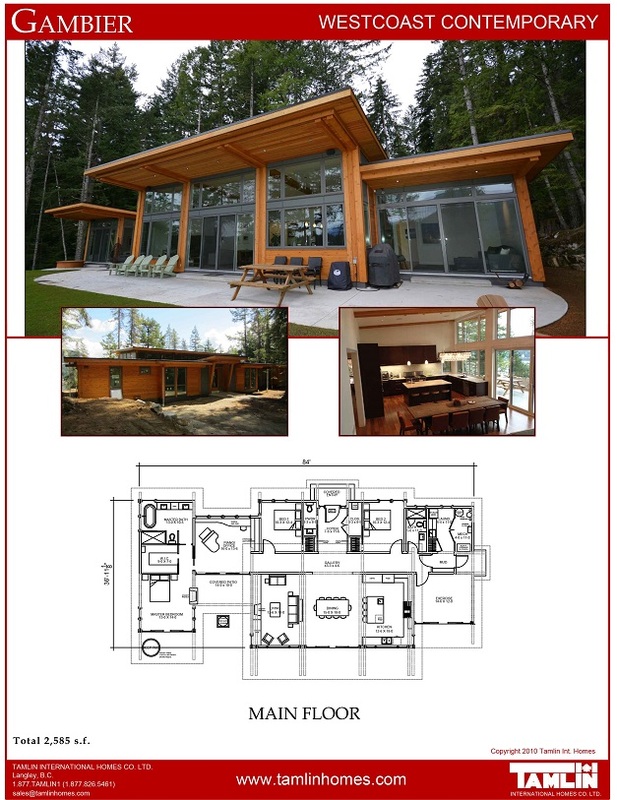 Tamlin designs its own unique “Contemporary West Coast Style” custom wood framed, post & beam, and timber frame buildings. Our “Hybrid Approach” involves incorporating post and beam construction or timber frame joinery with conventional framing. We also integrate various building enclosures, insulation systems, prefabricated components, ready to install materials and efficient construction methods which are carefully designed and engineered. 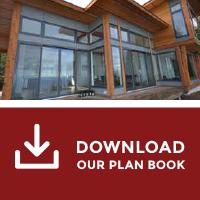 Our plans are accepted as one of the most detailed and comprehensive in the industry, and we are often complimented on the level of detail by plan checkers from many building permit offices. We take pride in ensuring our plans far exceed our competitors.